You are a tank gunner looking out onto a mountain plateau. 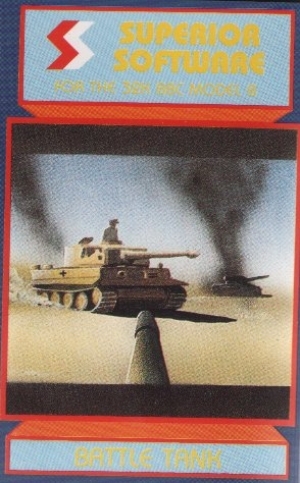 You see the distant mountains and the pyramid obstacles - and also the enemy tank. Your task is to shoot it before it shoots you. 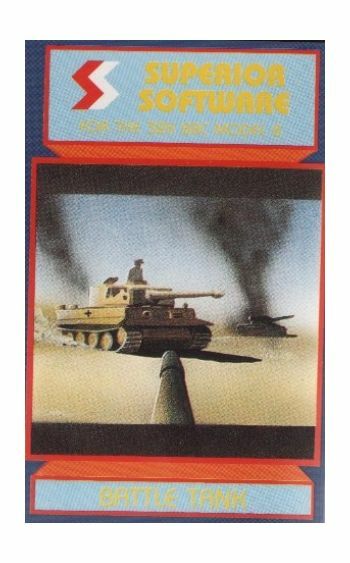 However, your mission does not finish there; for there will be other tanks.A scanner is displayed in the bottom right hand corner of the screen. This displays the position of the enemy tank relative to you. You can then turn to get the tank in view. The next stage is to position the tank in the rectangular viewfinder by fine adjustments of your controls. Instructions on inlay card. OPERATES ON BBC MODEL B 32k.